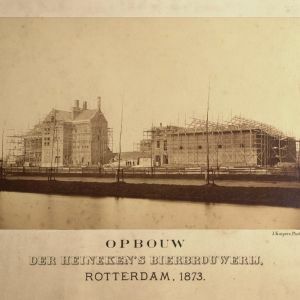 In 1873, 140 years ago, the building of the Heineken Brewery in Rotterdam is taken up. 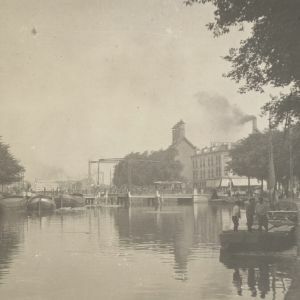 The brewery is projected on the corner between the Crooswijkse singel and the Rotte canal, in the middle of empty polders. 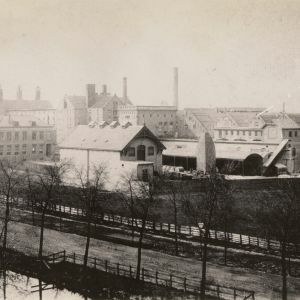 But the city of Rotterdam is booming and it does not take long before the whole area around the brewery is complete build up with factories and houses. 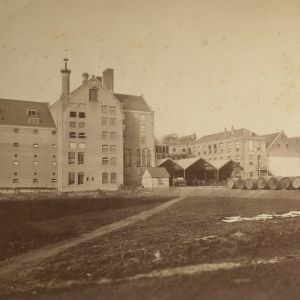 Photographs from the early days of the brewery have a still appearance. People are not yet present in the pictures. In the years afterwards, the brewery is continuously extended. 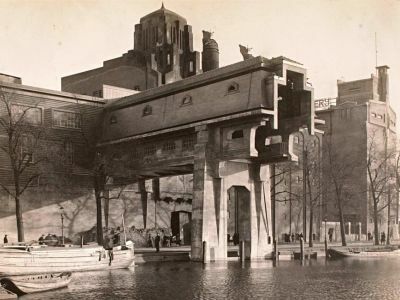 On a picture from 1904 one can see a roof being built over part of the yard, while beneath it beer carts filled with wooden beer barrels are coming and going. 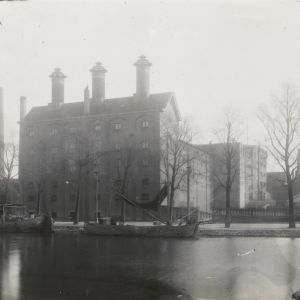 Between 1919 and 1924 a series of buildings along the Rotte canal is completed, amongst others the pronounced coal bridge, the barley silo and the brewhouse. 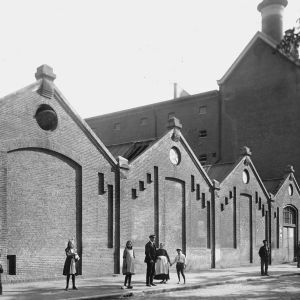 In 1924 a beautiful new brewing room is built by the Rotterdam architect Willem Kromhout (1864 – 1940). The interior of this brewing room is completely decorated with ceramic tiles, stained glass windows and lamps in Art Deco. 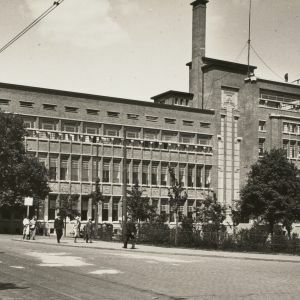 In 1932 Kromhout completes the office buildings along the Crooswijkse singel.eir homes in this former office building of the Rotterdam Heineken brewery. 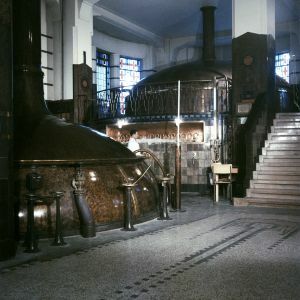 All of those pictures give a cross-section view of the activities of the Rotterdam brewery during the 100 years of its existence. 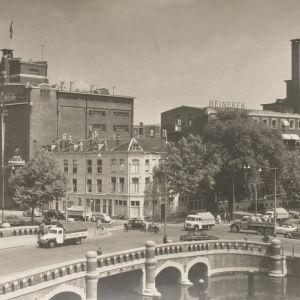 In 1974 the brewery in Rotterdam was closed because there were no possibilities to expand anymore. 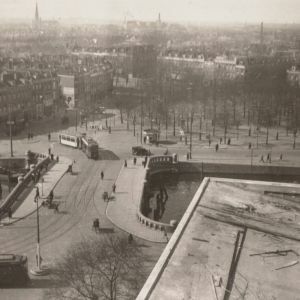 All buildings were demolished, except for the office building designed by Kromhout. 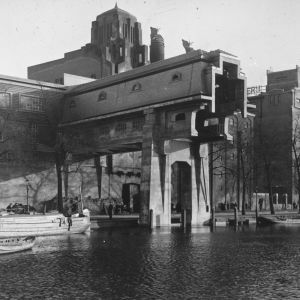 In 1996 this building got the status of ‘National Monument’ and therefore will be protected in the future. In those days a lot of little companies have found their homes in this former office building of the Rotterdam Heineken brewery. In the meantime, employees of the brewery are depicted on the pictures more and more often. One of the pictures shows a group of working men, all with big moustaches and a cap, posing next to a wooden beer barrel of 130 HL, with the date 1883 on it. In 1922 a group photo is taken from the personnel of the bottling room. The complete office staff, an impressive number of employees, is photographed outdoors in 1928. From 1940 onwards, all departments of the Rotterdam brewery successively are put on picture. Also from leisure activities like jubilee celebrations, sport activities and dancing clubs, group photos were taken. We do not know the names of all the people in the pictures. Do you know anybody from the pictures? Please let us know at info@heinekencollection.com.